Salvia greggii is one of our favorite perennials! Also called Autumn Sage, this shrubby plant comes in almost every color you can think of. Salvia greggii is native to Central, West and South Texas as well as Mexico. This is great news not only for your water bill, but for bees, butterflies and hummingbirds too! Autumn Sage is a perennial, but will sometimes stay green through a mild winter. The oval shaped, olive green leaves grow on long woody stems. These plants can have an upright, bushy or even sprawling growth habit depending on variety. The flowers of Salvia greggii resemble lips, with the top having a hood shape and the bottom which is wider. Colors can vary from pale yellow to soft pink, hot pink, magenta, coral, red, violet to almost blue! There's also the popular variety, Hot Lips, a bicolor flower of red and white. One of the best things about these perennials is the blooming season. Expect blooms from spring until the first frost! 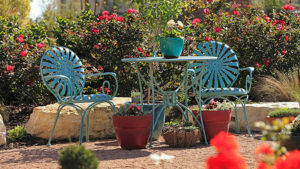 Removing spent flower stalks and pruning back on occasion will encourage new blooms and a tidy look. All of those flowers will also attract bees, butterflies and hummingbirds! It seems like lots of critters love Salvia greggii, but fortunately, deer are not one of them. While nothing is deer proof, this plant is not their favorite. Autumn Sage will grow between 12 inches to about 3 feet tall and wide. Your mileage may vary. Plant it in full sun or part sun. A shadier spot may work okay, but you may not get as many blooms. 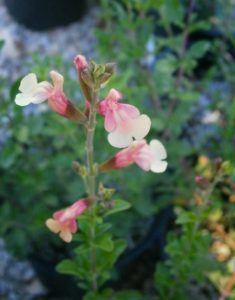 Salvia greggii thrives in rocky, well drained soil and can be planted just about anywhere. It looks great in whiskey barrels or used as a border. Salvia greggii is also drought tolerant once established. It's no wonder that Salvia greggii is so popular. That's why we decided to put it on this year's spring sales list. 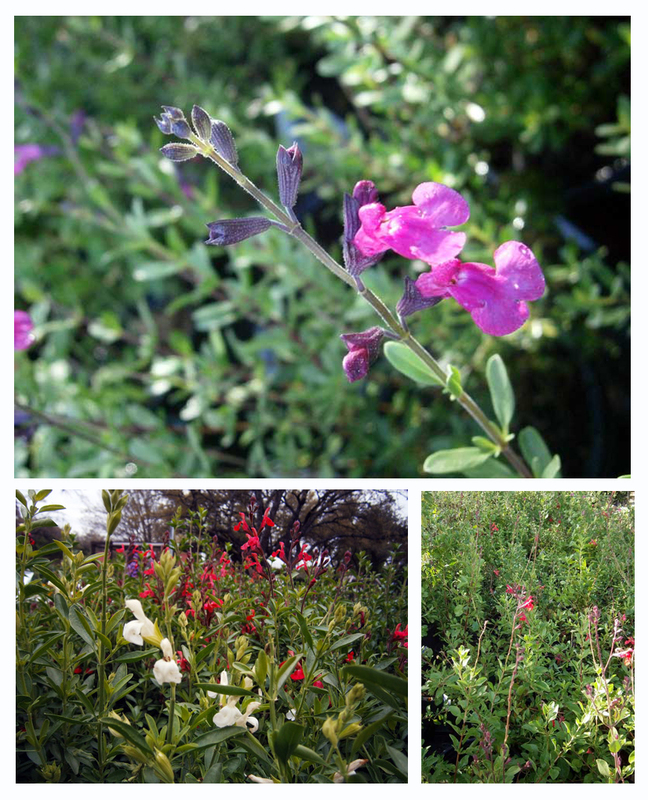 Right now at The Garden Center, you can get any variety of Salvia greggi in a one gallon container for only $4.95! Prices are good through May 31st. While you're at it check out all of our other favorites on the list by clicking here!